There have been, and will be, numerous conferences about the causes and consequences of Britain’s departure from the European Union. This conference is not one of them. Rather, we want to think about history in light of Brexit. Indeed, to ask what does Brexit mean for the recent political history of Europe and Britain? We are seeking abstracts from graduate students. Some participants may choose to address the issue by directly talking about the relationship between Britain and the European Union, others may adopt more tangential approaches. We welcome all takes on the question. Some may want, for example, to talk about British notions of exceptionality and how far back those notions can be traced. Is British history best understood as an ‘island story’ set apart from that of other nations? Perhaps even more importantly, participants who specialize in the history of continental Europe are invited to ask whether there is a specifically European political identity. One odd feature of recent discussion of British exceptionalism has been the absence of attention to any European model from which Britain is held to diverge and the lack of recognition that European countries might have their own senses of national peculiarity. We should stress that there is no expectation that all papers will be about purely British or European history. Historians of other parts of the world may well see links between their works have with Brexit. To take two obvious examples, scholars of Chinese history may have things to say about notions of national peculiarity; scholars of India may well feel that there are things to say about notions of federations and indeed that such notions may have had a considerable influence of how the British conceive their role in international bodies. What does Brexit mean for the relationship between academic history and the outside world? Does our historical research need to speak more clearly to present-day political concerns? Another approach might be to review classic works on national identity and nationalism, asking how we might revisit the arguments of, say, Benedict Anderson’s Imagined Communities, Linda Colley’s Britons, Eugene Weber’s Peasants into Frenchman or Alan Milward’s The European Rescue of the Nation State considering Britain’s departure from the European Union and rise of populism across the continent. None of these ideas are more than suggestions. It should be stressed, though, that we are looking for something slightly different from a typical conference paper. Participants are not to be required to address particular themes but rather invited to talk about their own research in the light of broader reflections about the political history of Britain and Europe. This is, of course, quite daunting, but the conference should be seen as an opportunity for graduate students to be intellectually ambitious and as way for them to get to grips with the broader historiographical significance of their research. If any graduate students have any questions about submitting an abstract, please contact Tom Kelsey (historyinlightofbrexit@gmail.com). We will be using pre-circulated papers. At the conference itself, presentations will be limited to 10 minutes. The purpose of these talks is to summarise the big arguments being put forward. After these presentations, panels of three speakers will receive in depth feedback on their pre-circulated up to 6,000-word papers from an academic in the Association of Political History Network. This will be followed by a broader conversation with the conference audience. It should be stressed that only PhD candidates from universities participating in the Association of Political History can apply. Proposals should be no longer than 250 words for individual papers, and 1,000 words for three-person panels. They should be sent to historyinlightofbrexit@gmail.com by 15 February 2019. The abstract should be submitted as a Word document and include: 1) the title of the presentation; 2) institutional affiliation; 3) your email address. Applicants will be informed of the outcome the week beginning 4 March 2019. An accepted paper of no more than 6,000 words must then be submitted to the conference organizers by 13 May 2019 at the latest. The paper will be made available to the other participants during the following week on a closed website. The Association for Political History (APH) has been created in September 2014 for promoting Political History, broadly defined as the history of institutions, parties, public policies, as well as the history of ideas, political cultures, identities, behaviours, passions or emotions. APH welcomes historians working from different perspectives, including the most recent and innovative ones, such as transnational history. One of the main goals of APH is to strengthen international cooperation in the field of education and research, thus promoting the quality of research. Furthermore, APH will provide high-quality training opportunities for PhD candidates and advanced masters students in Political History. The institutions currently attached to APH are: Research School Political History (The Netherlands-Flanders), Sciences Po, Jyväskylä University, Luiss University Roma, King’s College London, Bielefeld University, Aarhus University. The University of Antwerp, University of Geneva, Södertörn University and European University Institute have recently joined the network. APH also supports the international group for PhD candidates in Political History. The sixth annual conference of APH will be organized at Sciences Po, Paris, France from Wednesday June 20th to Friday afternoon June 22th 2018. APH invites PhD students from the participating institutions to apply to introduce their dissertation for comments from their peers and senior scholars from the member universities as well as by external commentators and keynote speakers. Besides the panels during which PhD student will be able to introduce their papers which will be discussed by a senior researcher and another PhD, several events will take place: a lecture by Professor Jenny Andersson (Sciences Po) and two round tables. The schedule will be detailed soon. Papers will be examined by a committee composed of professors of history from Sciences Po as for instance Claire Andrieu, Alain Chatriot, Nicolas Delalande, Mario Del Pero, Michele Di Donato, Mathieu Fulla, Gerd-Rainer Horn, Guido Panvini. Each paper presenter should have 1–3 years experience in doctoral studies by the time of the conference. Your abstract and paper could start with a formulation of a particular scholarly point that you want to make and/or problem to which advice from the commentators and other participants is sought. Paper proposals can focus on institutional political history, conceptual, social, cultural, of gender or anthropological in a national, transnational, compared or connected perspective. The concerned periods will mostly be the XVIIIth, XIXth, XXth and XXIst centuries, with no geographical boundaries. Yet, one or two sessions will specifically focus on political parties, institutions, States and political behaviors. Paper proposals on these topics will be carefully examined. The deadline for applications including an abstract of 250–500 words, university affiliation and an explanation of the relation of the paper to the PhD project is 12 March 2018 (extended). The applications will be sent by e-mail to aph2018paris@gmail.com. The acceptance of the proposed papers will be confirmed by the first days of March 2018. An accepted paper of no more than 6,000 words must then be submitted to the conference organizers by 3 June 2018 at the latest. The paper will be made available to the other participants during the following week on a closed website. Kindly include in your paper a brief introduction for those who may be unfamiliar with the period, country, organization or theme of study. The oral presentation of the papers during the conference must not exceed 10 minutes, the rest of the time being reserved for comments and general discussion. Paper presenters should be PhD students in the APH member universities. As a way to expand the network we invite doctoral students from universities that are not yet members of the APH to also propose papers. The final acceptance of the paper then depends on the student’s home institution agreeing to pay the annual institutional membership fee of the APH (currently EUR 300) which provides an entrance to the conferences for both the senior academic staff and PhD students. Consult the head of your department on the readiness of your home institution to participate before submitting your proposal. If you are interested in an individual membership instead, contact APH coordinator Margit van der Steen (margit.van.der.steen@huygens.knaw.nl) for further information. The participating institutions will have to cover the travel and accommodation costs of their doctoral students but we aim at providing all meals and social programme. There will be no registration fee for this conference. The 4th International PhD Conference of the Association for Political History (APH) was opened by a roundtable on “Political History in the 21st Century” which addressed a broad range of topics including methodological questions, the necessity to frame the field of political history, and the role of historians in contemporary debates. The participants agreed on the need to broaden the scope of political history, going beyond earlier practices of diplomatic history (Duncan Kelly). 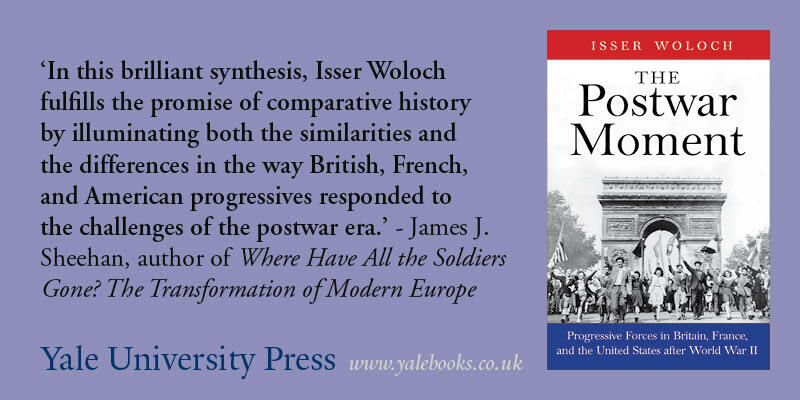 Instead of focusing narrowly on events or institutions, political history has to account for the fact that political change is often initiated outside of the political domain (Maartje Janse). In fact, since all social facts have a political dimension, it was suggested, there are no limits to the study of political history (Marc Lazar). In contrast to earlier debates, the transnational character of all political processes, it seemed, did no longer need emphasizing within this circle of scholars. Instead, the construction of legitimacy within discourses was stressed as a central matter of political history today (Hagen Schulz-Forberg). Even more, a shift from a history of ideas to a history of political discourse and languages of legitimation was identified (Kelly). The discursive nature of politics calls for a focus on language, discourses and the social construction of reality (Pasi Ihalainen). Ideas only exist in context and therefore an analysis of the social coproduction of ideas has to include not only words but also e.g. symbols (Ido de Haan). Going hand in hand with this shift in focus, the debate showed, the discipline should open up its methodological toolbox to include insights from social science research (Janse). The historian’s obligation to make a case for the methodologies applied was identified as an important development within the field. Moreover, as in earlier debates, attention was called to the necessity to reflect on the contemporary context in which one writes history. Pressing contemporary political issues such as immigration, efforts of (de-)politicization, the widespread rejection of the ruling classes, or the return of nationalist movements, it was held, could not be ignored (Lazar). This opened the debate on the role of the historian within society. Whether the historian could remain indifferent to contemporary developments, or if he should be present in public debates, however, remained contested. While on the one hand, the historian was said to hold a twofold responsibility for both scientific knowledge and public debate (Lazar), the proximity to politics was also seen critically. History’s function of legitimizing political regimes in the past, it was noted, had contributed to the negative reputation of political history in the first place (de Haan). In addition, the inapplicability of historical insights for contemporary debates was underlined by current examples resulting in cranky attempts (Kelly). Acknowledging the instrumentalization of historians by politics, efforts to meet the challenges of taking part in contemporary debates, it was maintained, was nonetheless desirable (Lazar). The role of history in education was also mentioned but could not be discussed in detail due to time constraints. Touching on a vast range of topics, the lively debate provided the audience with interesting insights into the state of the art of political history, common standpoints and key controversies. This year the honor of hosting the APH (Association for Political History) Conference for PhD researchers in political history befell to the Bielefeld Graduate School in History and Sociology. Participants were well prepared with clear directions to the impressively modern X Building that the Institute calls home. Upon entering the building a warm welcome by dr. Miriam Kanne and dr. Thomas Abel awaited the tired travelers, who had come to Bielefeld from all over Europe. After some refreshing drinks and the arrival of the last professors, the director of the Institute, prof. dr. Thomas Welskopp, opened the conference.